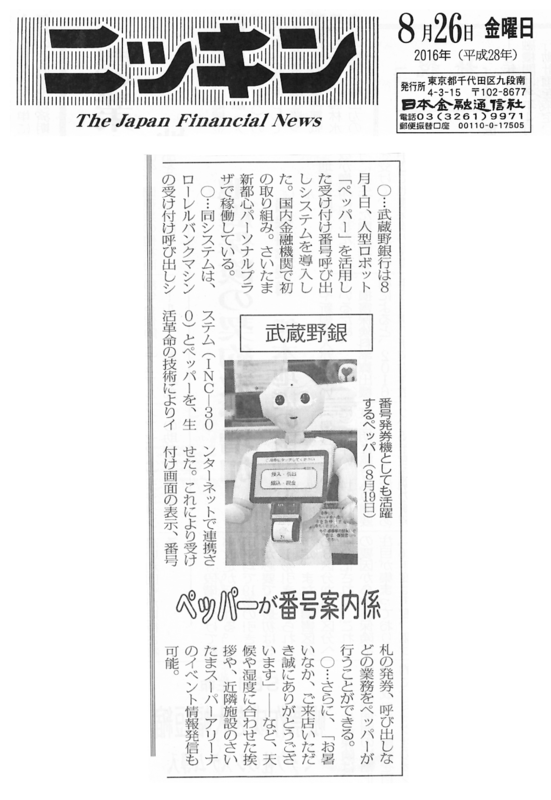 In the financial trade paper Nikkin, a service using our company’s new product Seikatsu Kakumei Robot High Speed Customer Service System Version 3 was picked up. Many people think of storefront robots as only a bit of liveliness, but this time, by giving the robot a specific job, it seems that the robot’s new value was appreciated. This time, in collaboration with system developing company Laurel Bank Machine, it was delivered and placed in Musashino Bank. Operation has begun at Musashino Bank in Saitama Shintoshin Personal Plaza. In this system which utilizes the humanoid robot Pepper, not only are simple reception and number calling performed. Greetings are given according to the time of day, in a feature merited for its overflow of hospitality. 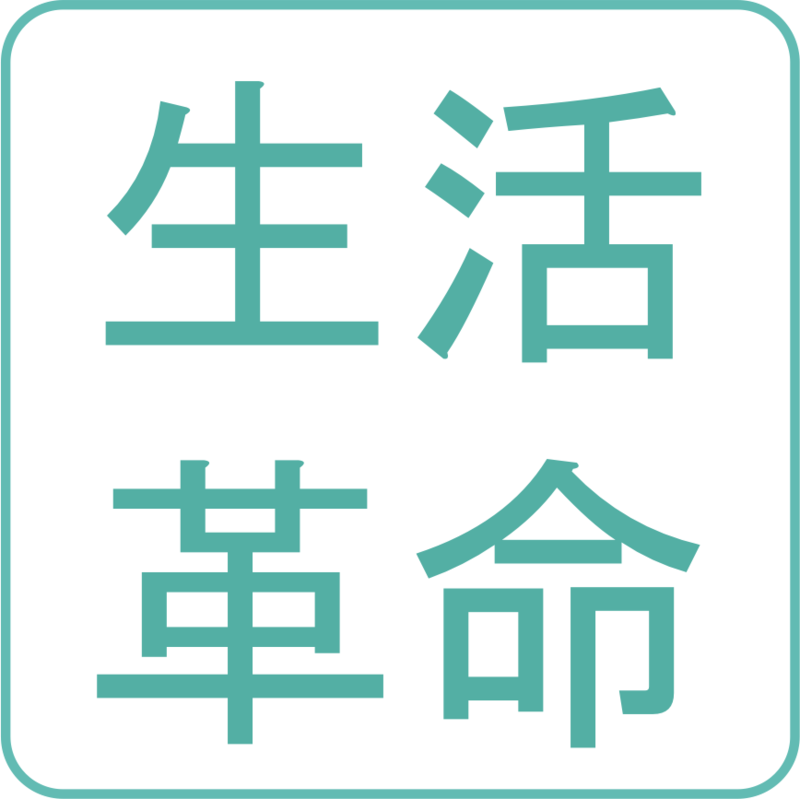 More than just weather, the local news, as well as Saitama Super Arena event information is also transmitted by Pepper. Continuing from housing manufacturers and medical institutions, banks are also included among those using it in industries where high quality is essential to acceptance. ← [Business Diary] Seikatsu Kakumei Boasts Distribution of Free Drinks! Yay!